I have to admit, while I’ve liked jazz for a long time, I’m certainly not as well versed in the history and musical geniuses of the genre as I would like to be. 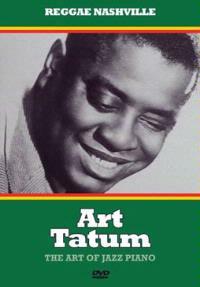 So it was that I had heard the name “Art Tatum,” but really knew little about him. This documentary goes a long way to explain who Tatum was and why he was as important as he was to the development of jazz. The story is told with interviews of people who knew him, people who were touched by his music and more. We get photos from his life and times and demonstrations of his musical stylings. All of these items are combined with a story of a true talent into a good documentary. Perhaps if you followed Tatum’s career some of this would be redundant, but from my understanding there is no other documentary about this man. I’d have to say that this video has been an eye opening experience and I heartily recommend it for anyone wanting to know more about Tatum or old school jazz in general.